Bank Exams and SSC Exams constitute of about 80% of all Government Exams conducted in the country. Being one of the most sought after career option in the country, Government Jobs allow a candidate to venture into the field of Defence, Banking, PSUs, Insurance etc. Be it SBI PO, SBI SO, IBPS PO, IBPS Clerk, SSC CGL, SSC CHSL, SSC JE, OICL, UIIC, NDA or any other exam, Government Exams enable millions of candidates to pursue their dream of joining the prestigious Government Sector. 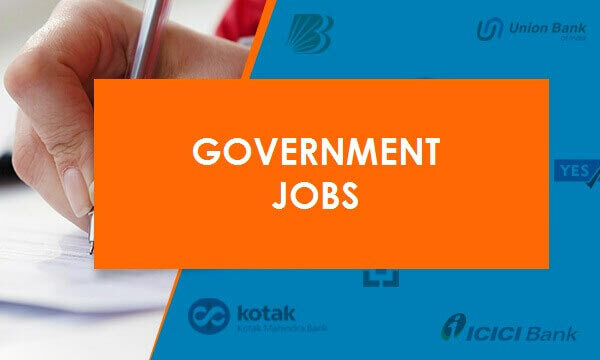 Remaining acquainted with Latest Government Jobs vacancy, exam pattern and dates will help you apply and appear for the same in the given time frame. With the exam season jostling in, it is important for all the aspirants to know the important dates associated with the upcoming Government Exams. Given below is the list of all the latest Government Jobs for candidates to prepare for. Keeping in mind Government Exams 2019, we are launching various Test Series, Classroom Programs and Video Courses to guide you through your preparations.